CONTEXT: In the United States, the prescription drugs are not sold packaged in the original package of the producing pharmaceutical company, but are packaged in bottles labeled by the distributing pharmacy. Barcode is used as a unique digital identifier. Counterfeit labels are hard to detect, as no reliable open reference database exists. Non-removable crypto tag is attached to the prescription bottle. The crypto tag is provisioned with the biometric data of the patient, e.g. fingerprint. The patient receives the drugs at the pharmacy upon providing a valid ID. Fake/stolen IDs used to collect the drugs. Pharmacy has limited skill and capacity to thoroughly monitor ID validity. Fingerprints, and not IDs, are used to certify the identity. Scanned fingerprints are matched to the data stored on the blockchain. 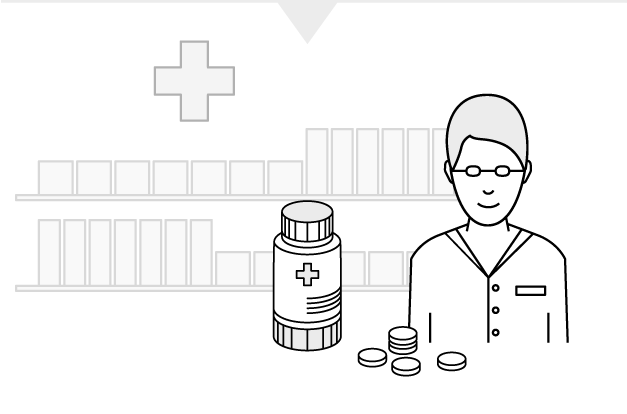 Each bottle is labeled with the name and contact number of the pharmacy, name of the patient, name of the doctor, description of the medicine, and instructions to use. Sensitive information is exposed and patients’ privacy compromised. Private data is stored on the blockchain and linked to the crypto tag public key. Full personal data protection – validation through crypto tag does not require disclosure of the personal data. After visiting the doctor, the patient goes to the pharmacy to collect his/her prescription drugs. A non-removable crypto tag is attached to the package. Immediately after it gets provisioned* and attested** on the blockchain with relevant metadata, fingerprint from the owner + his/her telephone number. The user downloads the App. If there are serious doubts regarding the legitimate ownership of the person holding the drug, a police officer can confirm his/her identity with a fingerprint scan, anytime and anywhere. At production stage, a non-removable crypto tag gets attached or embeded into the package. Immediately after it gets provisioned* and attested** on the blockchain with relevant metadata. At home, the buyer uses internet to buy medicinal drugs. At this point the verification of the authenticity of the drug mainly relies on the reputation of the web-shop and his/her intuition. At arrival, the buyer can scan the tag with his/her phone in order to verify the authenticity of the drug and obtain additional useful information (i.e. instructions, etc.). *Process by which the key pairs are created. **Process by which the public key of the crypto tag is registered on the blockchain of choice.